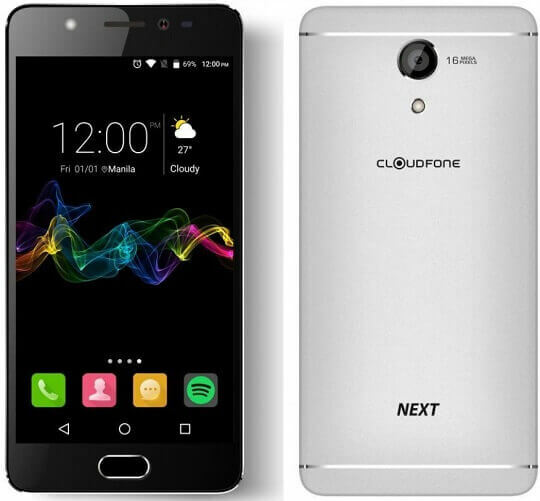 CloudFone Next, the winner of TeknoGadyet Reader's Choice Awards 2016 under the category Best Smartphone Under 10K, will go on sale this coming March 21 to 23, wherein the CellPrime's mobile brand cuts 30% off its original price tag, making it more affordable and attractive to consumers. During the promo period, it will be sold for Php6,999, that is a Php3,000 discount from its Php9,999 SRP. However, please take note you can only avail it through Lazada as part of their 5th Year Anniversary. Again, to avoid confusion, this will be an exclusive online sale via Lazada and NOT in any CloudFone physical store. To give a brief about this handset, it sports a 5.2-inch IPS OGS Full HD display with Corning Gorilla Glass 4 protection powered by 1.4GHz octa core Qualcomm MSM8937 Snapdragon 430 chipset paired with generous 4GB of RAM and ample 32GB of expandable storage. It is also equipped with 16MP f/2.0 PDAF main shooter and an 8MP f/2.4 BSI front snapper for taking selfies, both cameras are Samsung-made and have LED flash of their own. The other notable specs are fingerprint sensor, 3000mAh battery with Quick Charge 3.0 support, and runs on Android Marshmallow. To know more information, you can read our original post about this device here. And, for those interested to buy it, better visit Lazada and have it bookmarked.